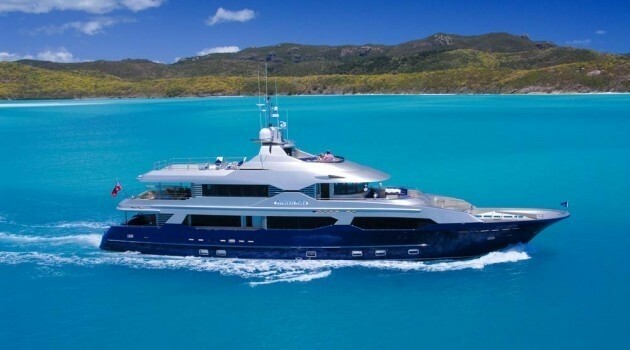 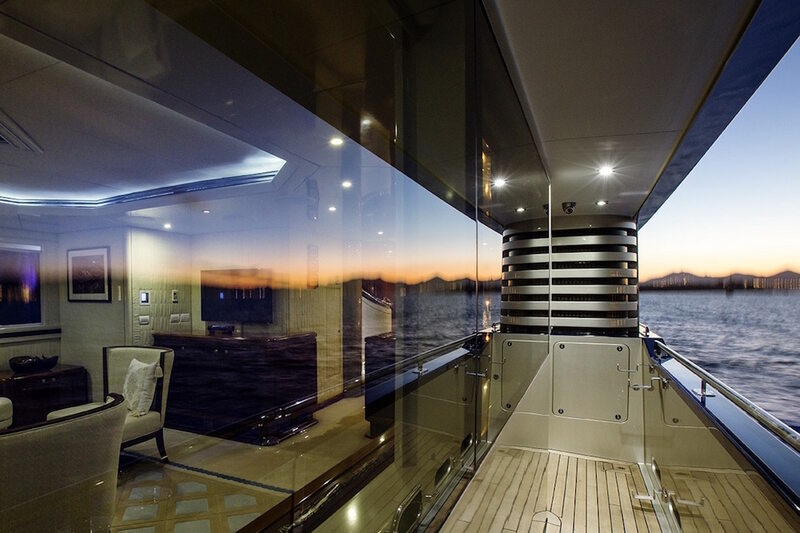 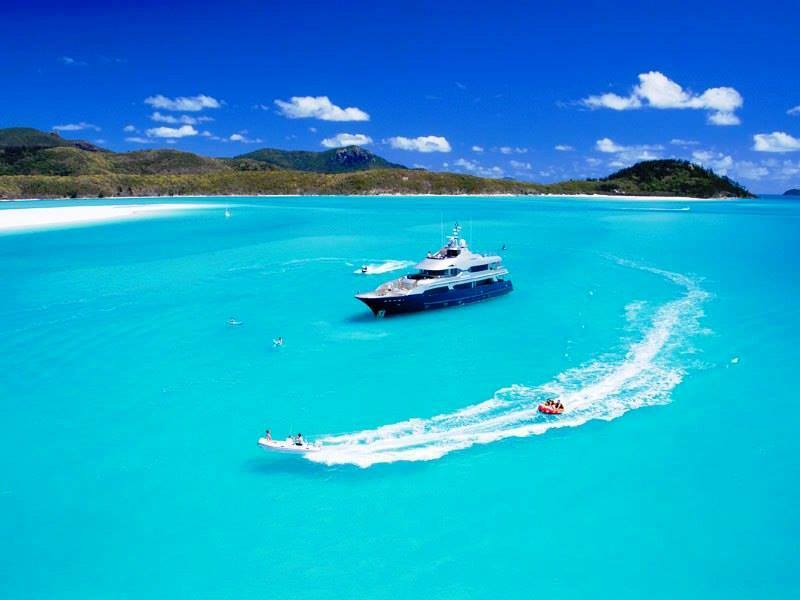 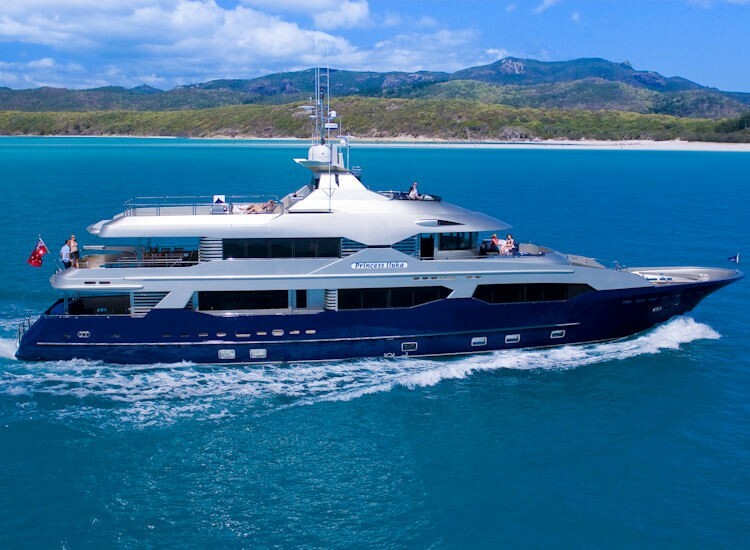 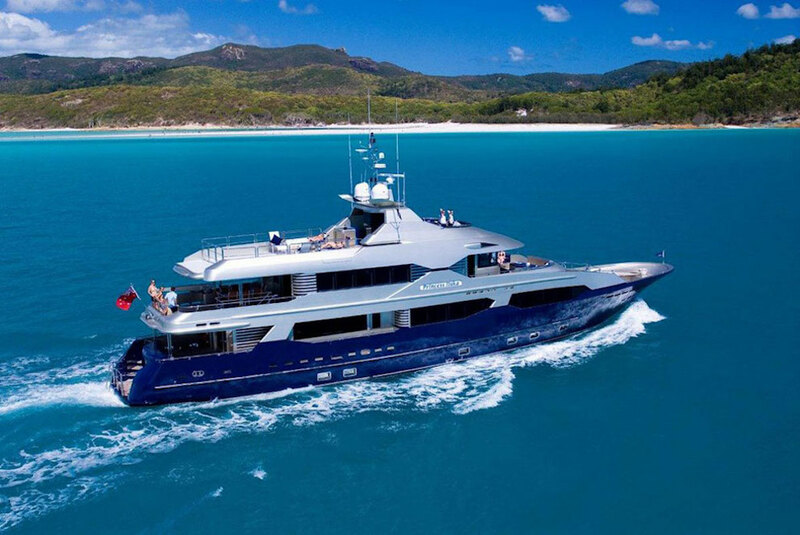 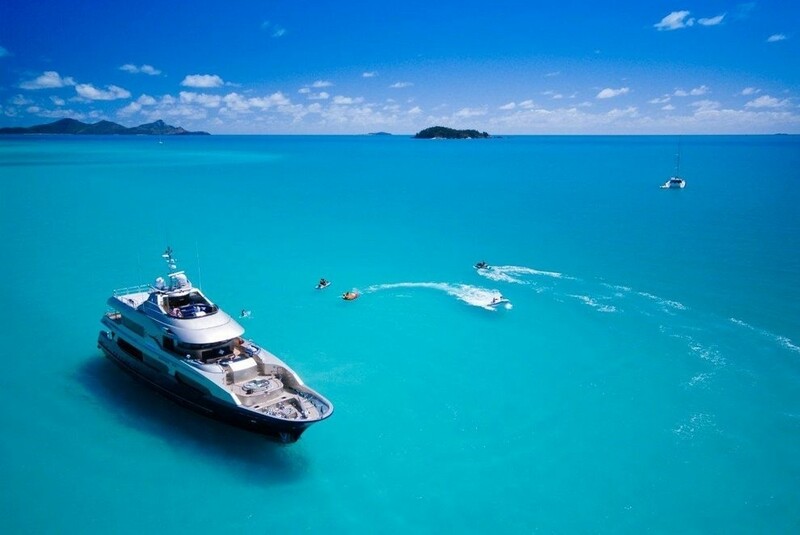 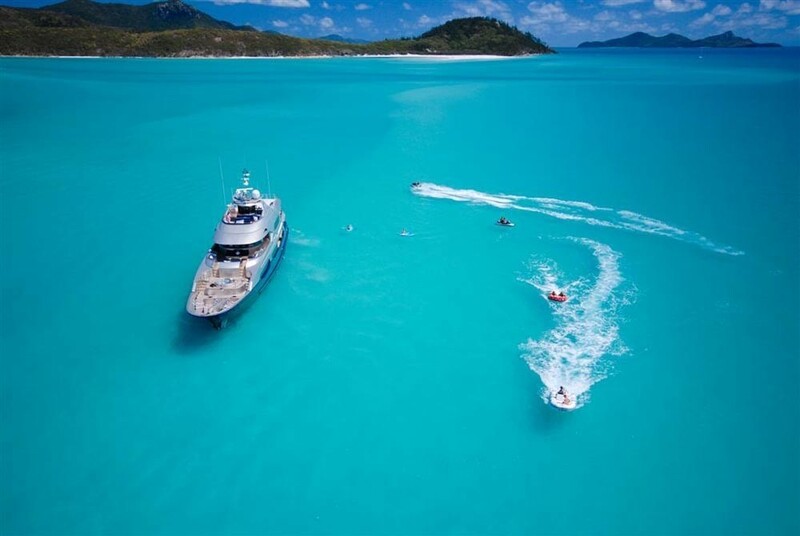 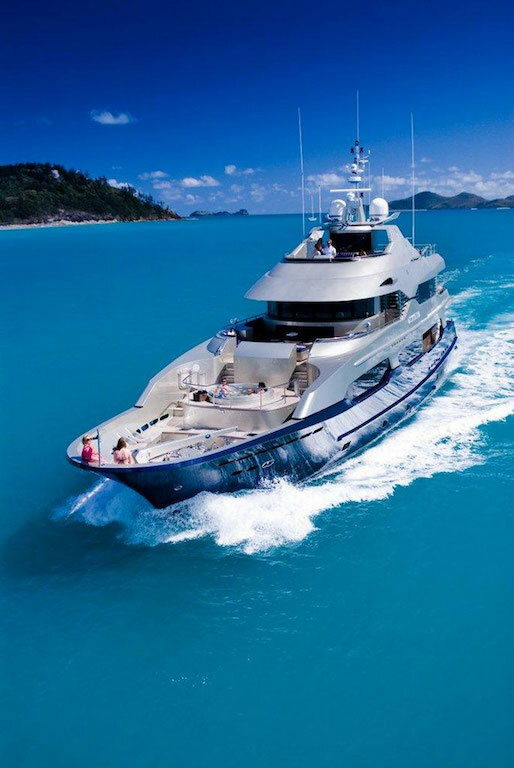 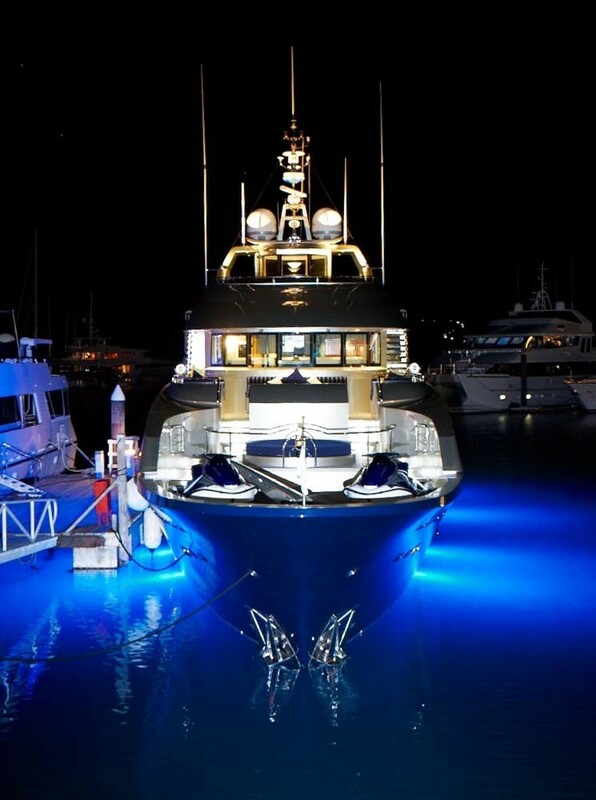 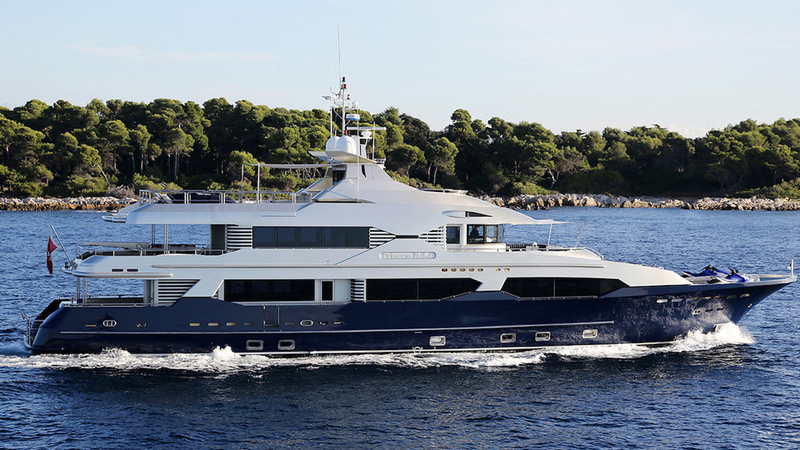 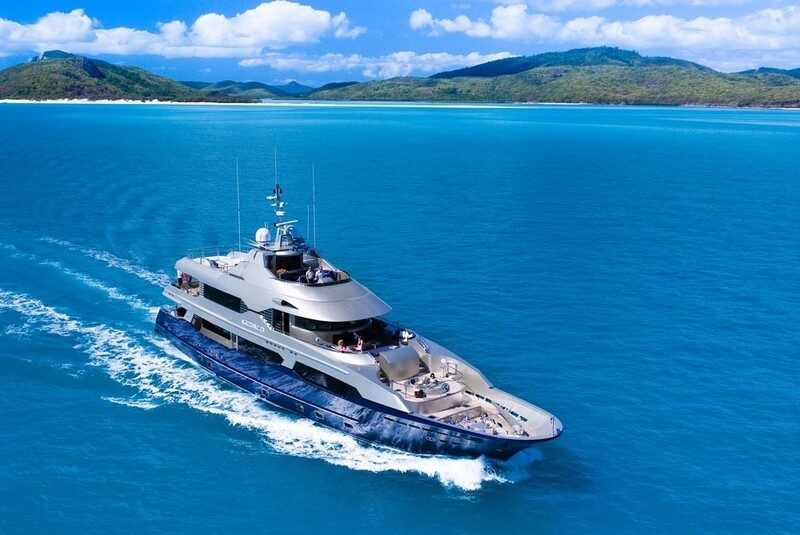 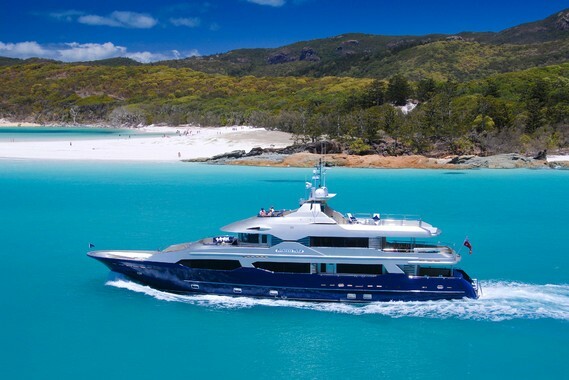 Luxury Motor yacht PRINCESS ILUKA (ex Iluka) is 34,50m (113' 2") in length. 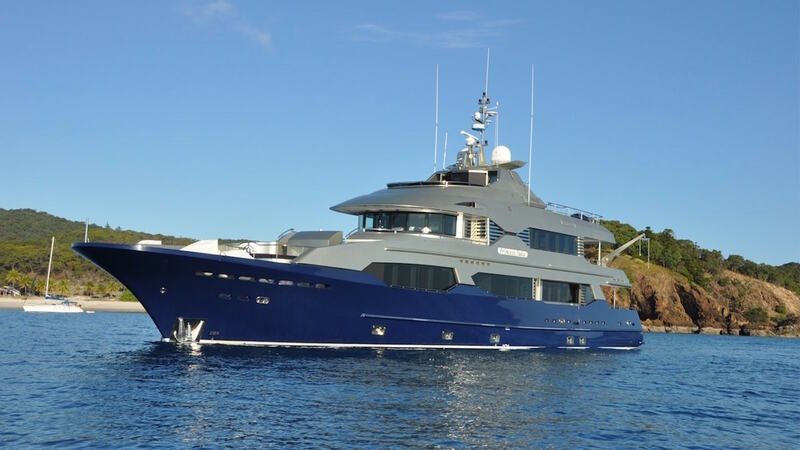 The yacht was originally constructed by Ray Kemp in Tasmania in 1979. However, Princess Iluka has undergone an extensive refit. 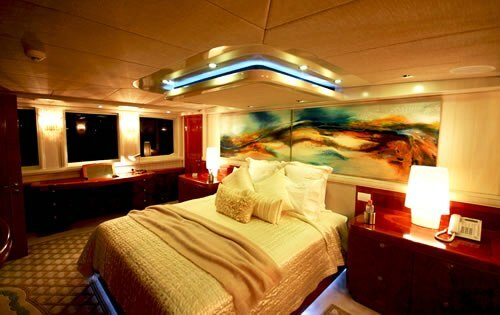 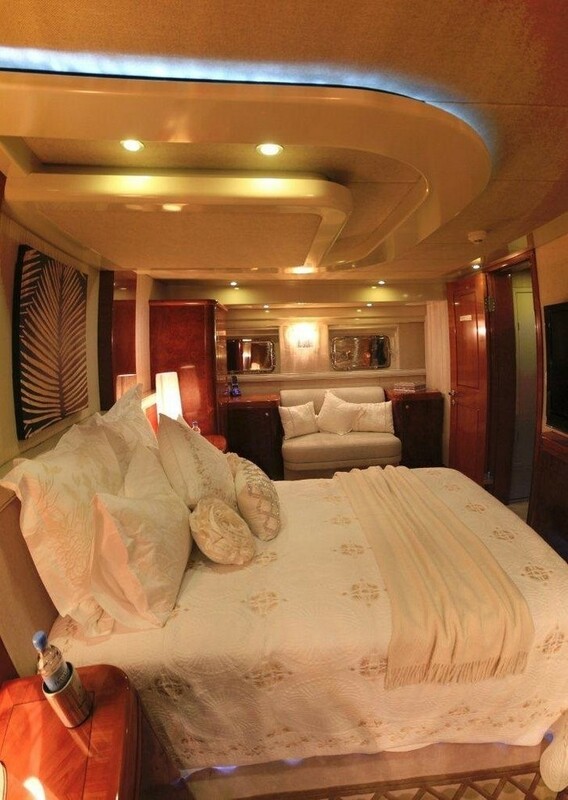 She can accommodate 10 guests in 3 double, 1 twin and 1 bunk cabin. 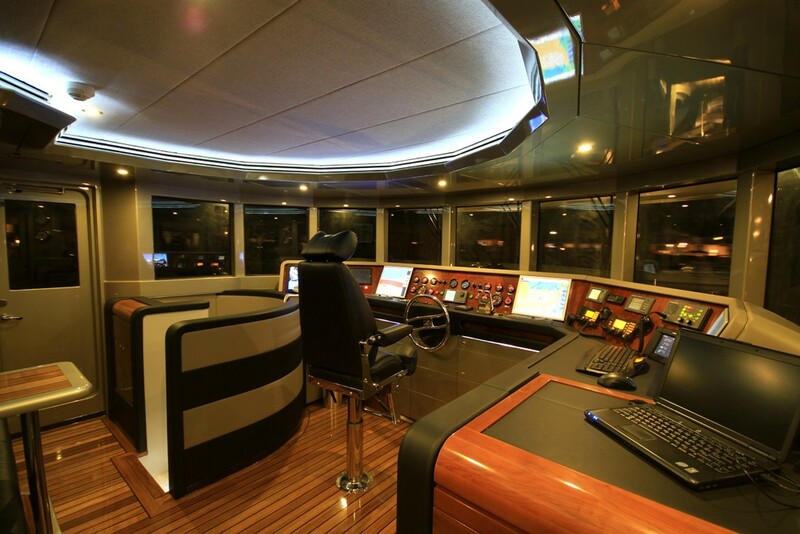 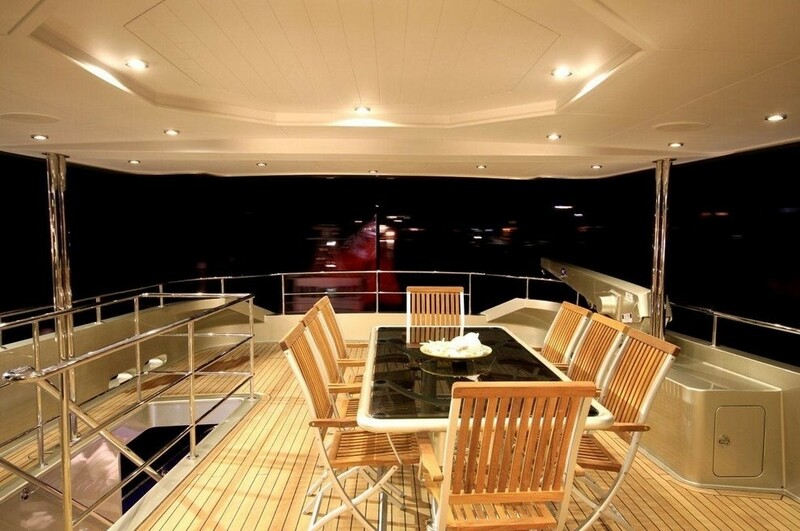 The timber used in the construction of this stunning yacht included Tasmanian oak and Huon pine. 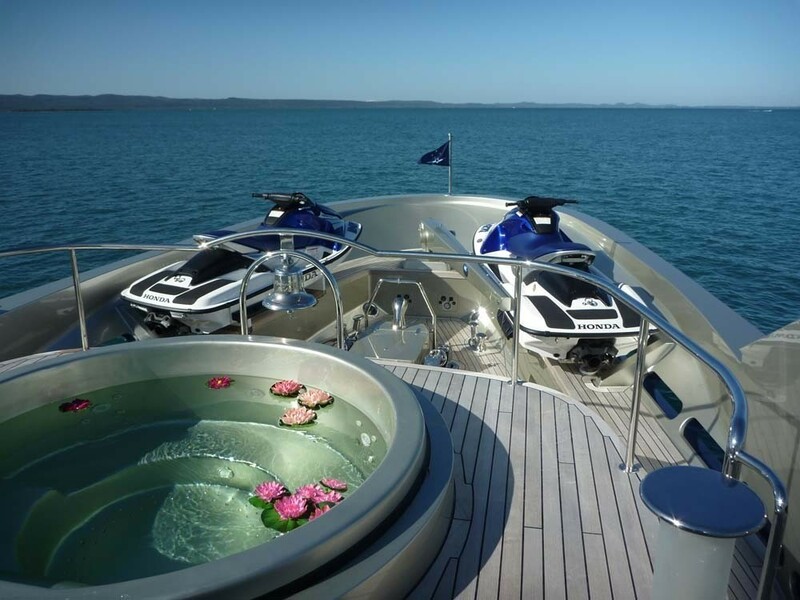 The timbers were logged and milled around 1964 in the Gordon River region in the south west wilderness of Tasmania. 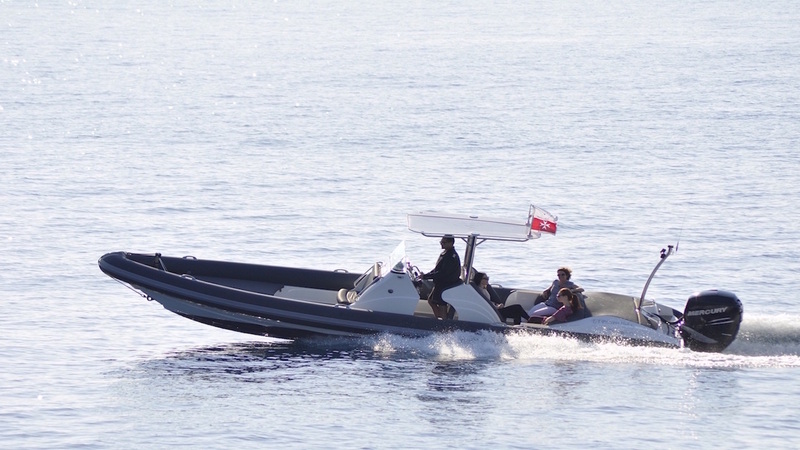 This area is renowned for its unique Huon pines, which was the most sought after boat building material, mainly due to its resistance to rot and borers. 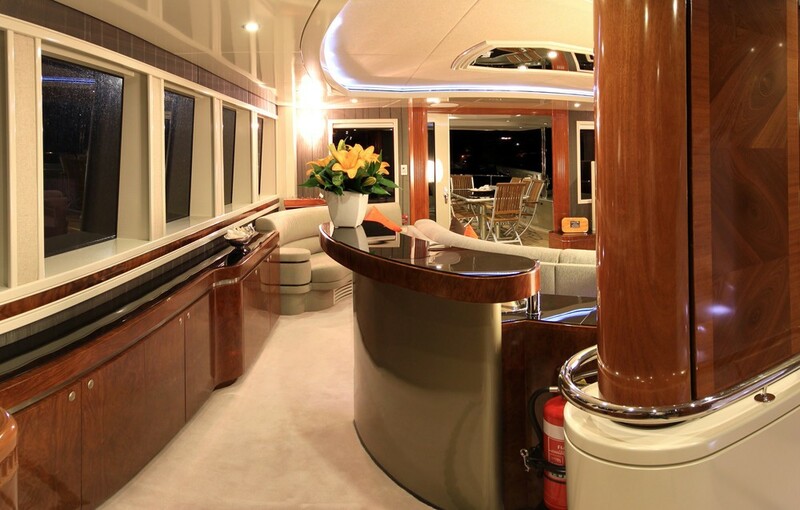 The huon pine used for Iluka's hull was over 750 years old and once harvested, was left to cure for two years before building could commence. 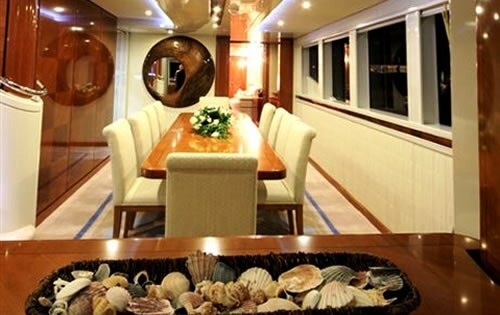 The timber which forms the keel is one continuous piece of spotted gum which took three weeks to extract from the forest. 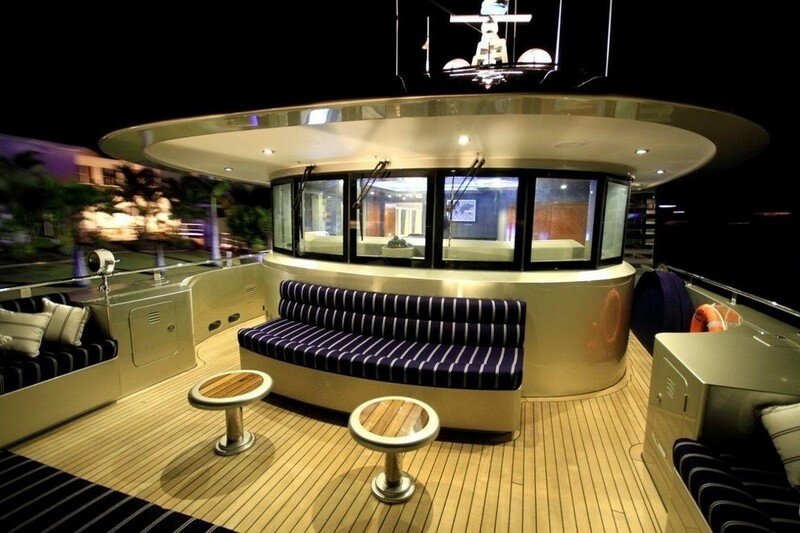 A construction of this type would not be possible today as the timber is now protected. 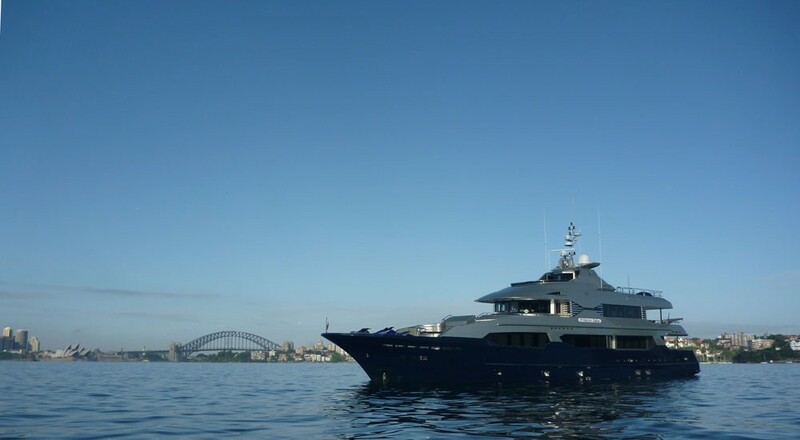 PRINCESS ILUKA has a classic clipper bow which forms the foundation of the vessel. 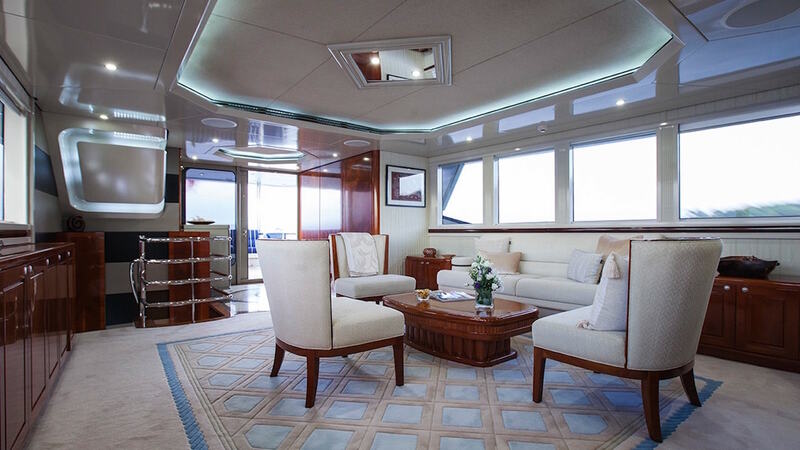 Her refit was undertaken in Australia, and her hull timbers were stripped bare to make way for her transformation. 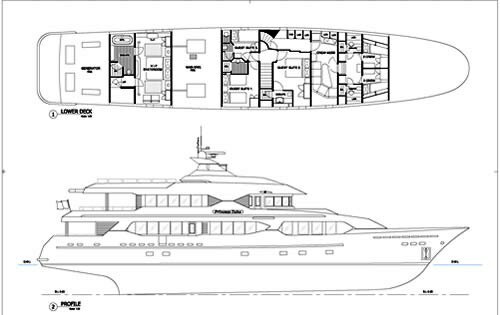 The superstructure was remodelled and rebuilt, and her hull was lengthened to include a new transom. 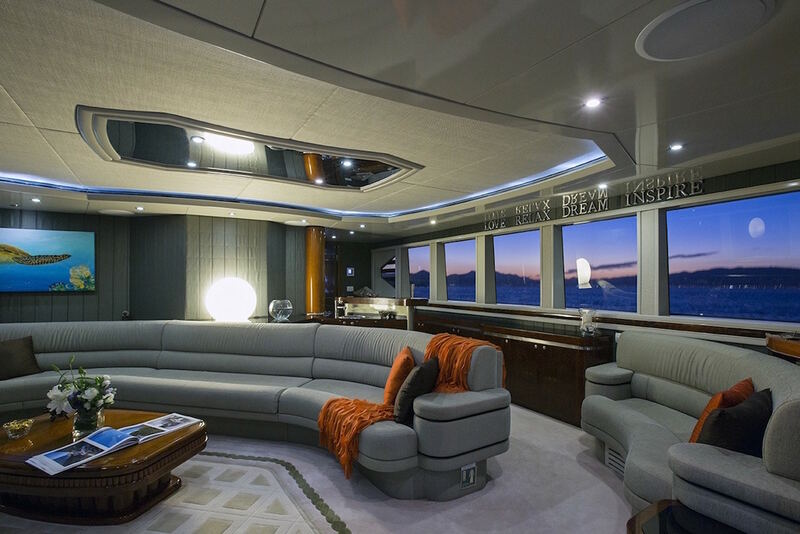 The interior transformation included the latest technology in engineering, electrical and plumbing systems, as well as state of the art electronics. 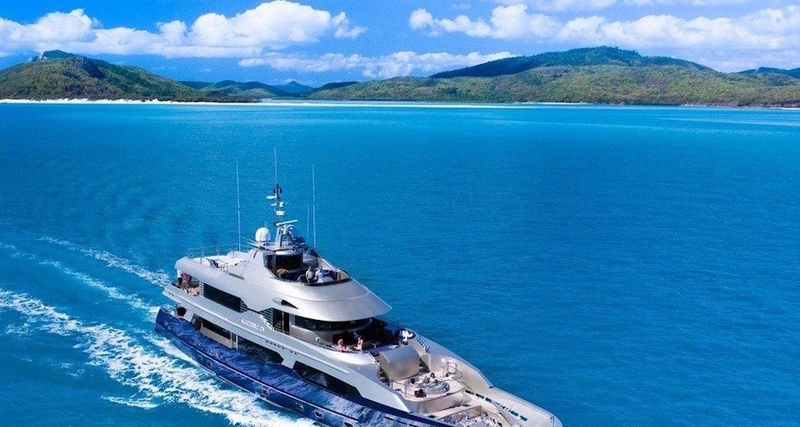 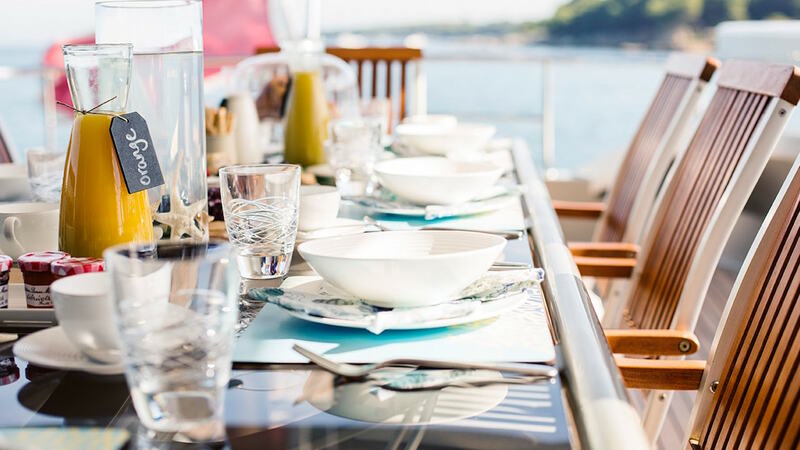 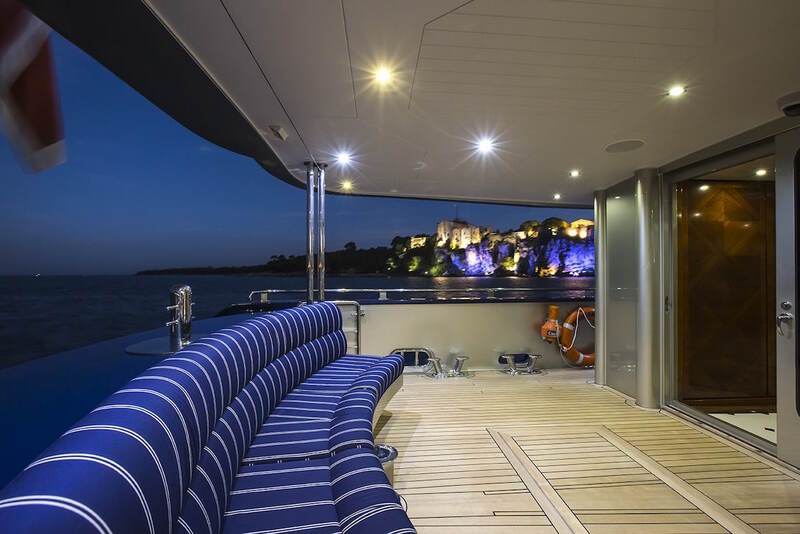 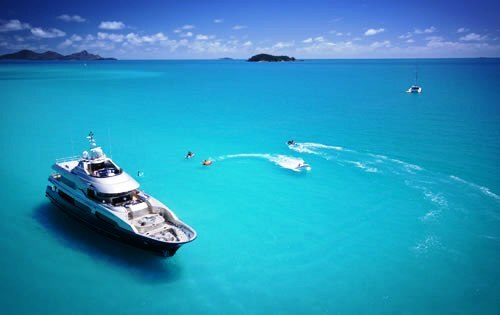 The superyacht's owners have been sympathetic to the yacht's heritage and history, and there is a distinctly Australian flavour throughout the interior. 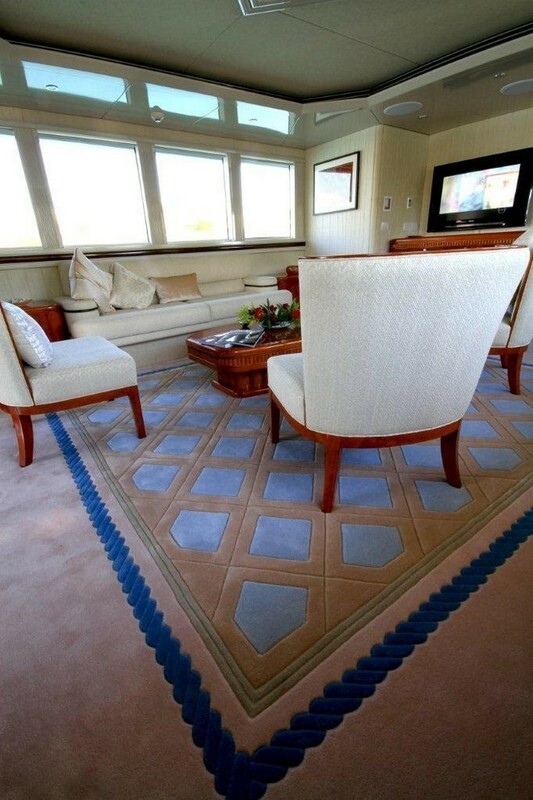 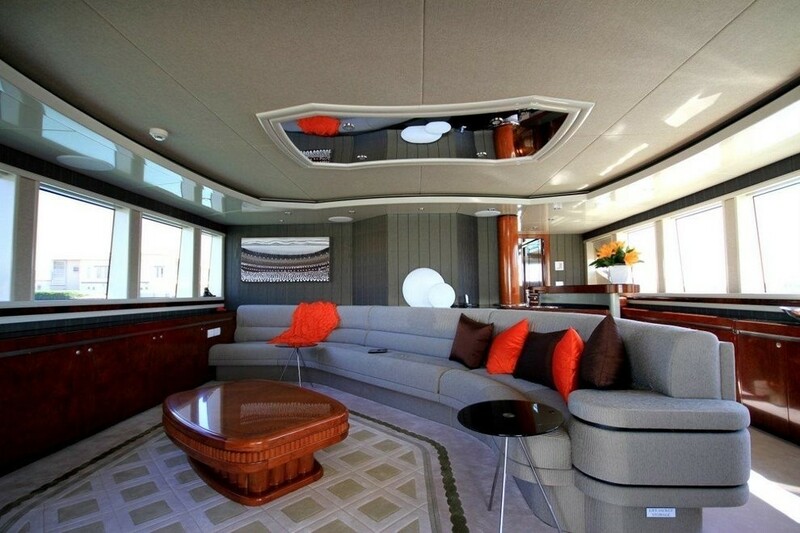 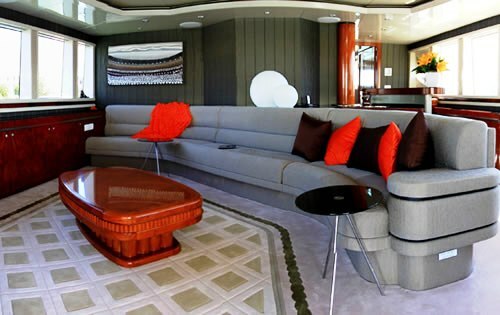 The spacious main salon is located on the main deck and has a lounge and a dining area. 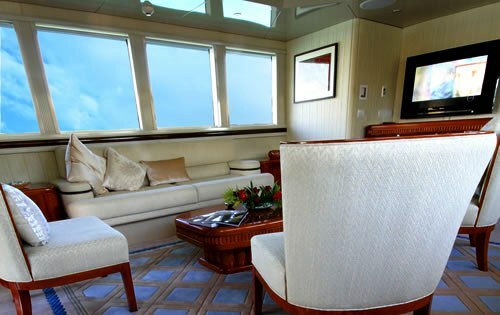 The sky lounge features a bar, a flat-screen TV, and a lovely seating area to enjoy some breathtaking panoramic views. 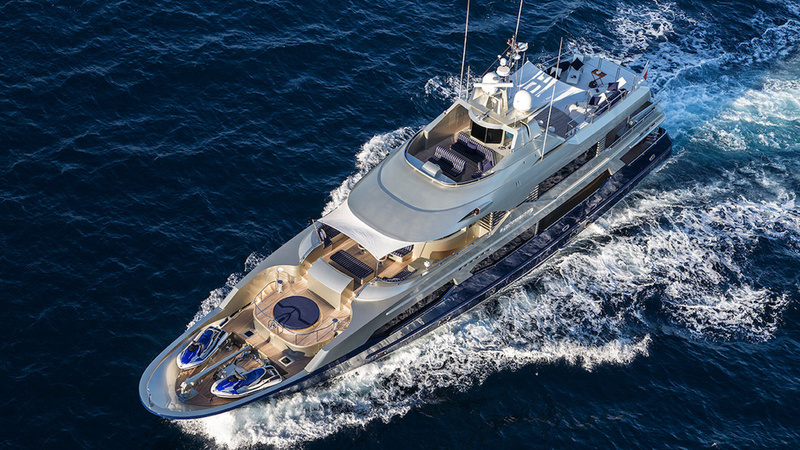 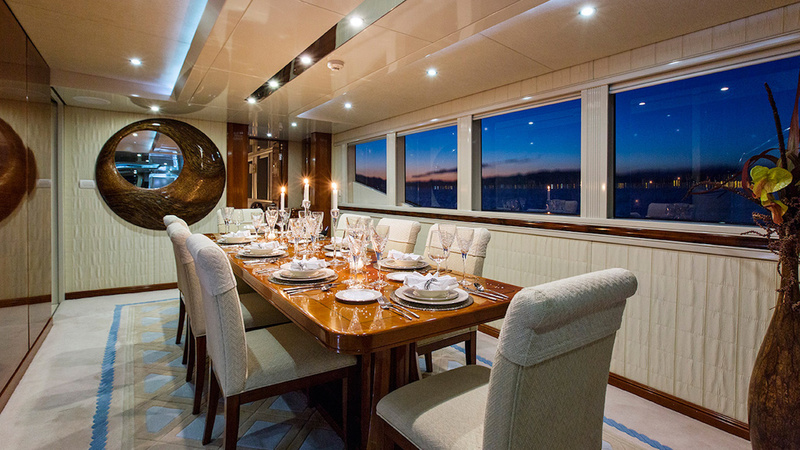 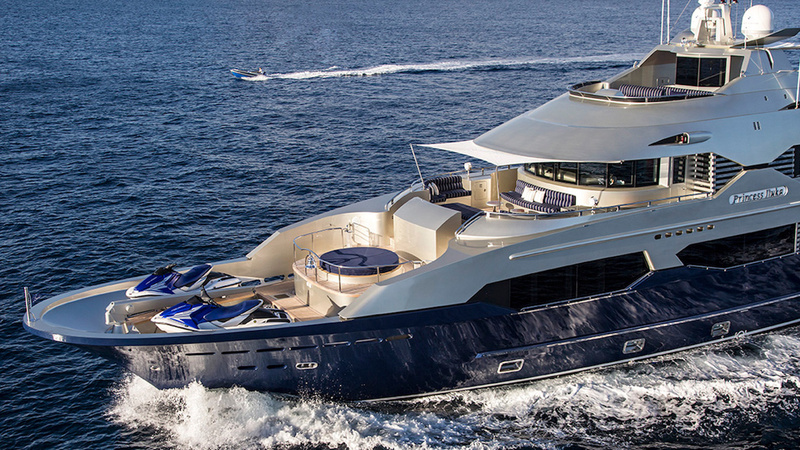 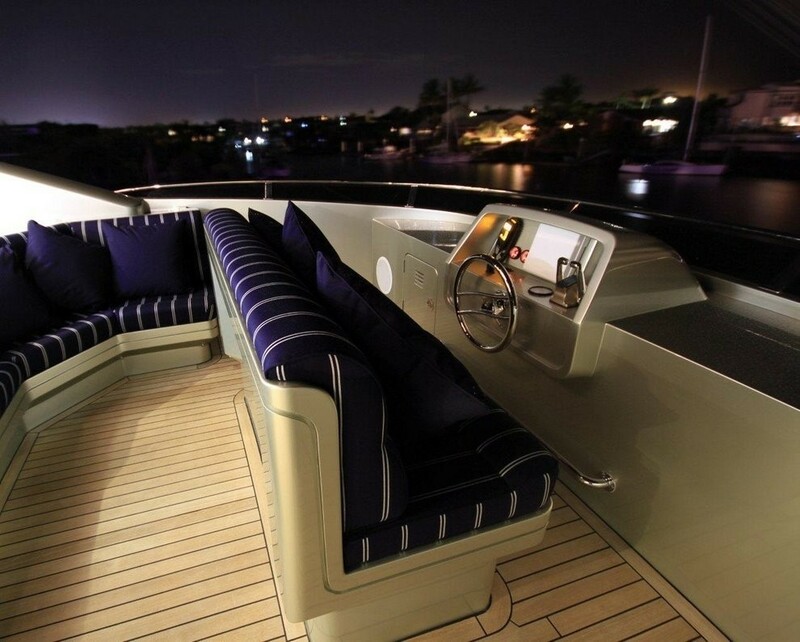 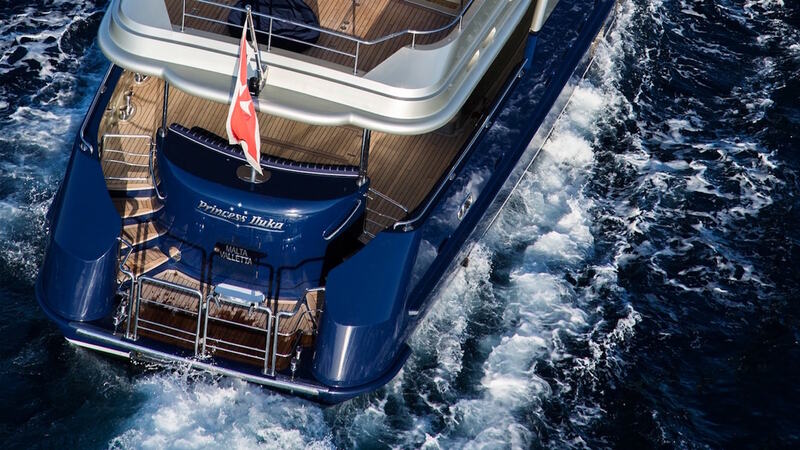 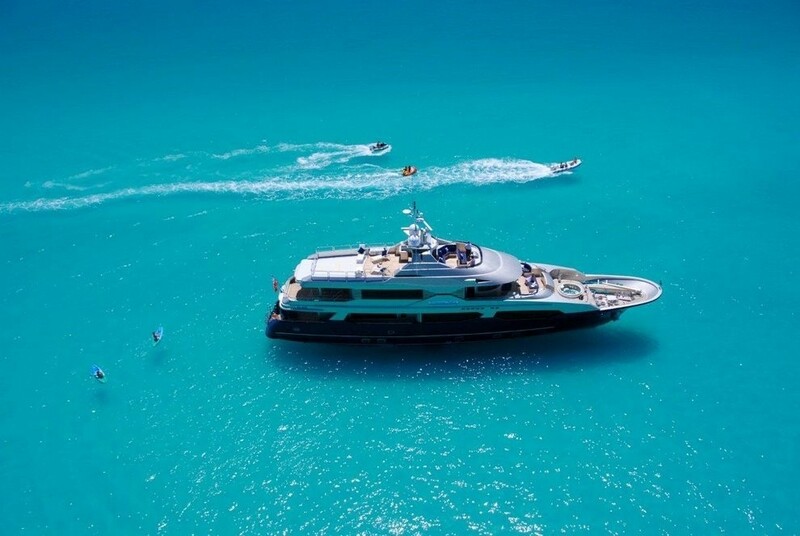 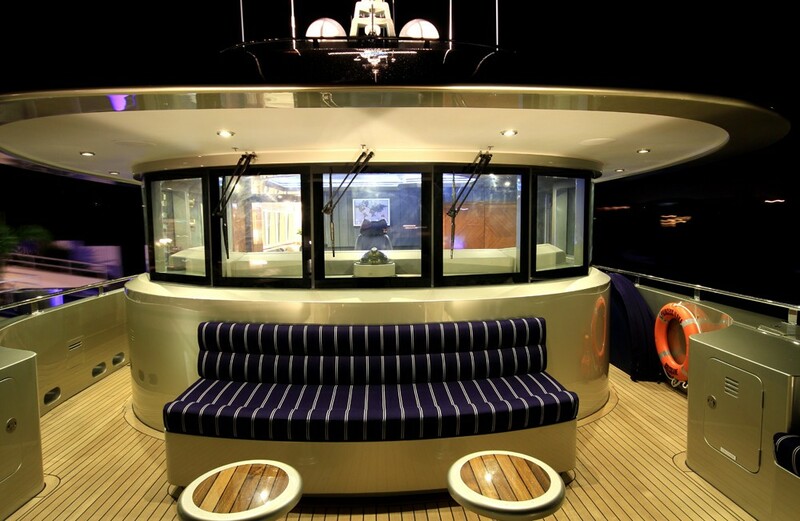 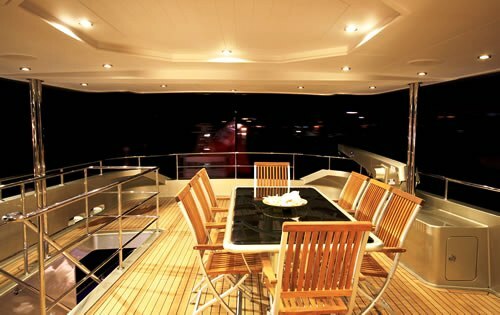 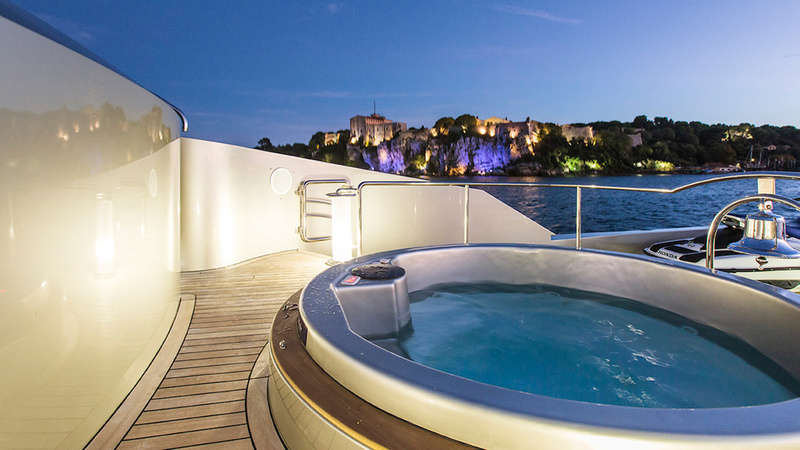 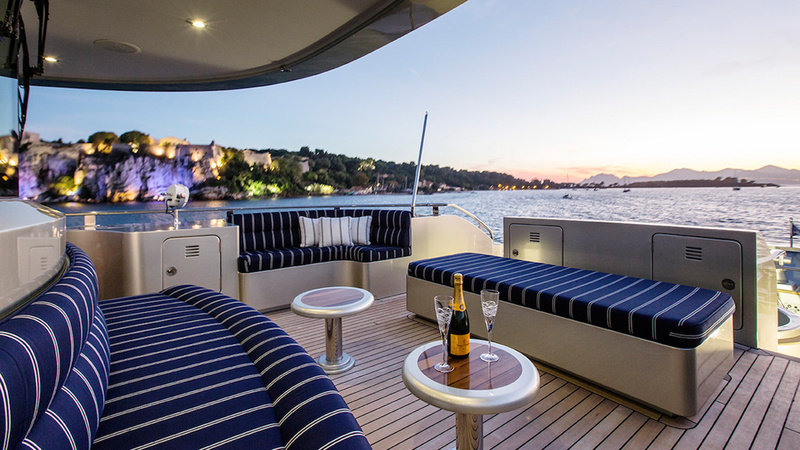 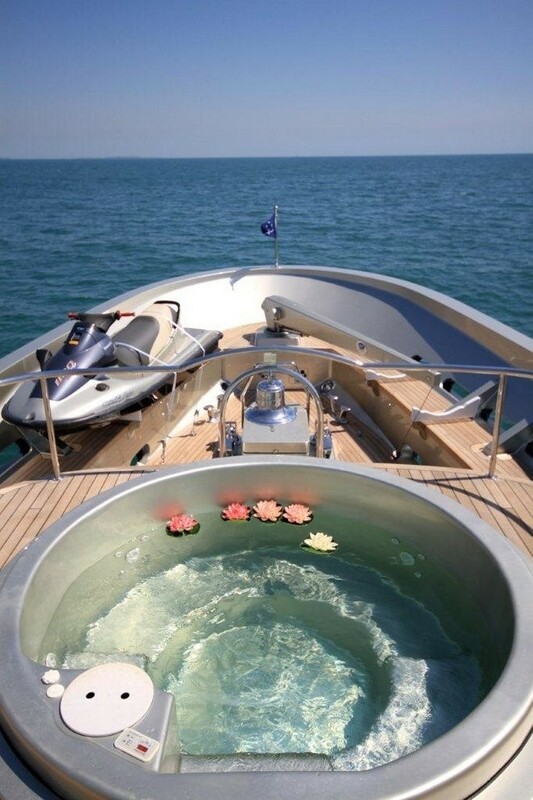 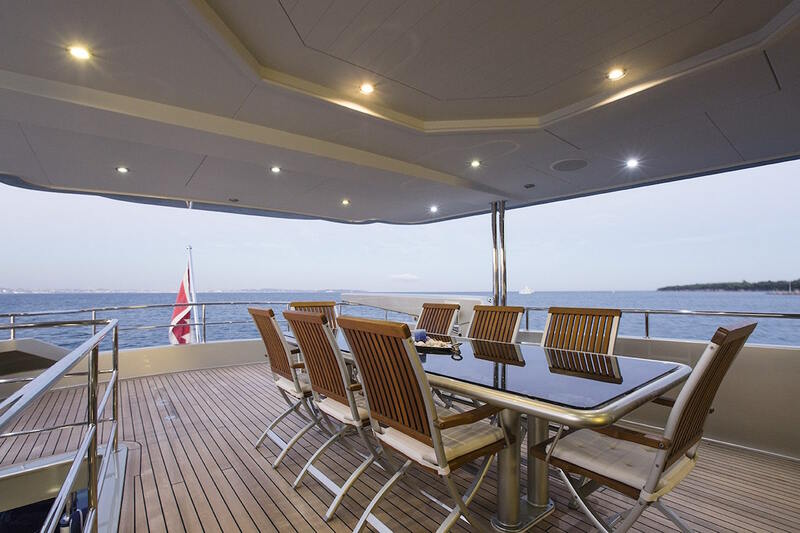 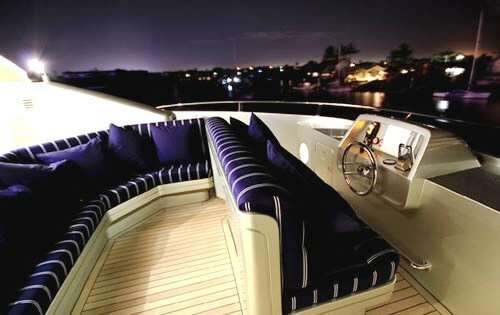 The foredeck hosts a large Jacuzzi, while the upper deck aft is a perfect place for alfresco dining. 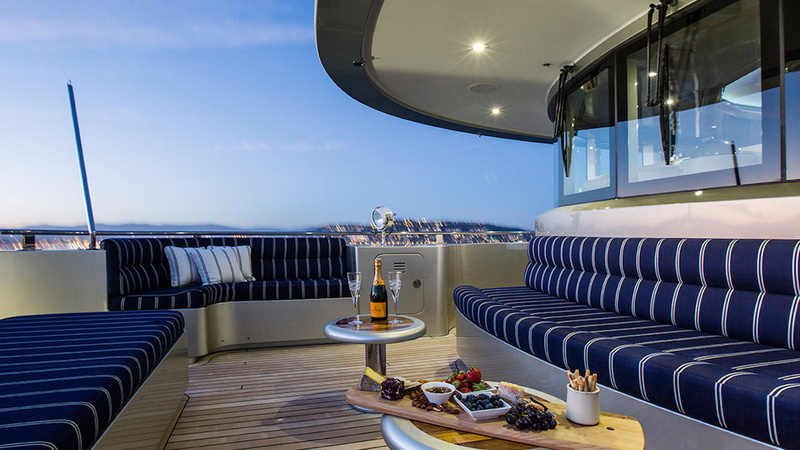 Sunbathing and relaxation area is on the sundeck, where the guests will relax catching some sun rays and sipping on delicious cocktails. 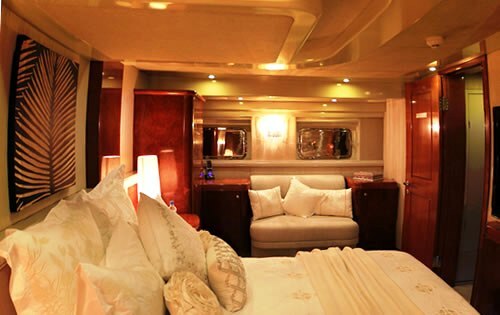 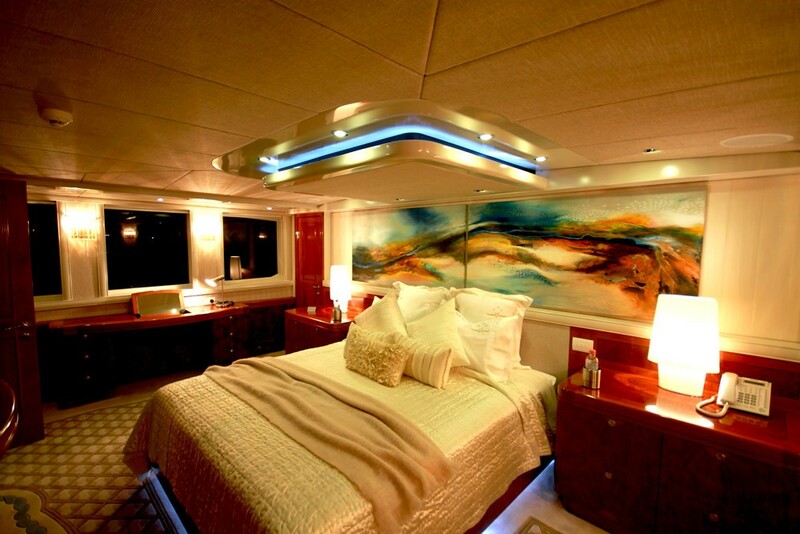 Accommodate is provided for a total of 10 guests in 5 cabins. 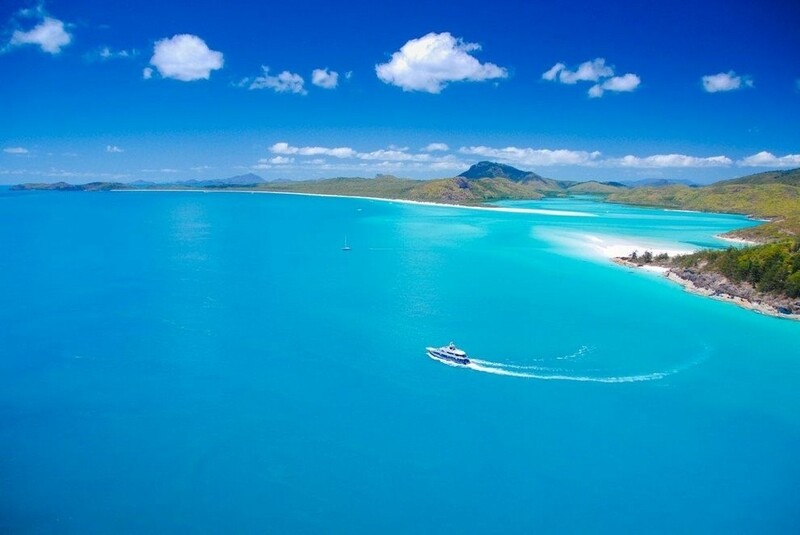 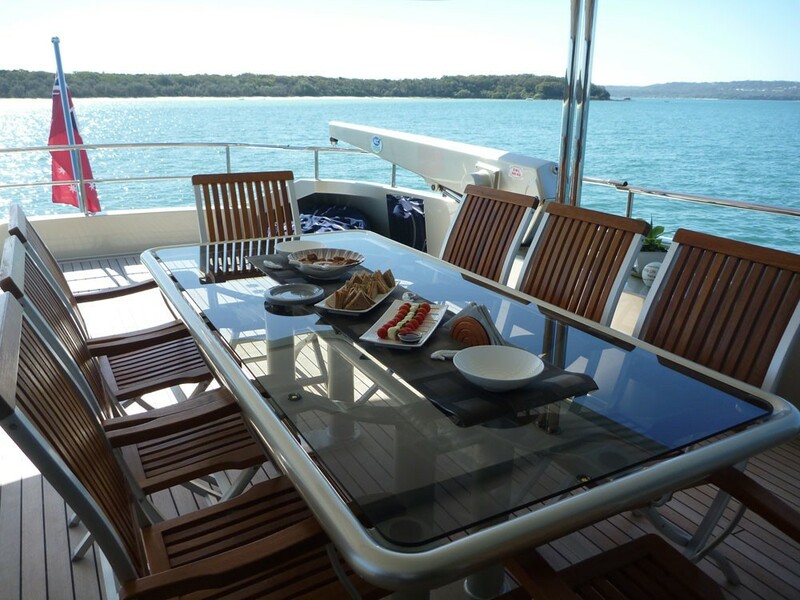 ILUKA is an aboriginal word meaning "by the sea". 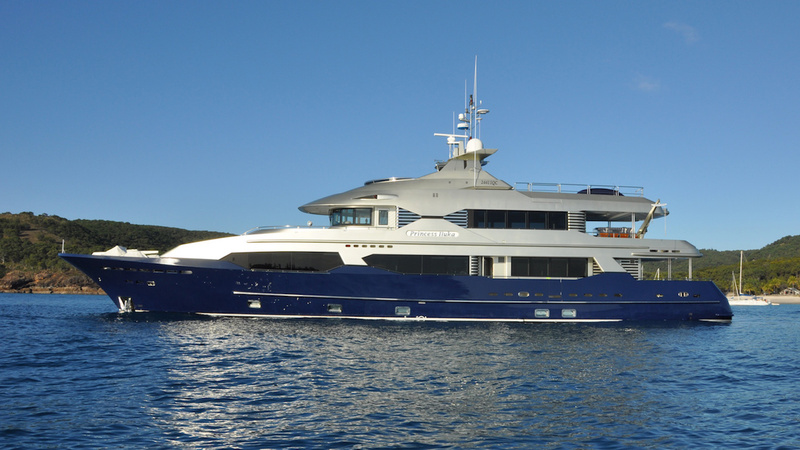 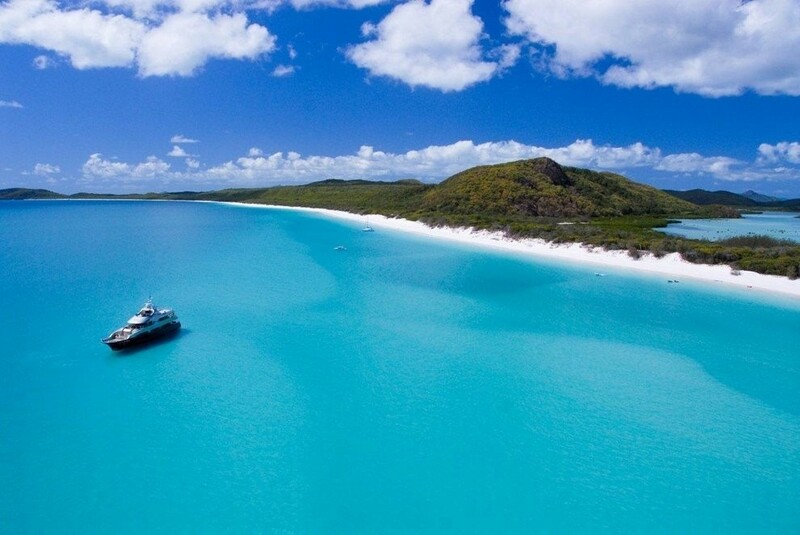 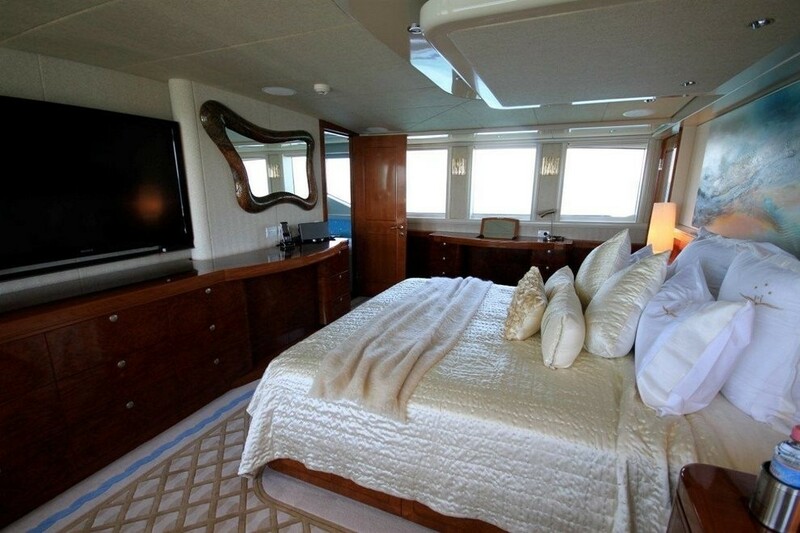 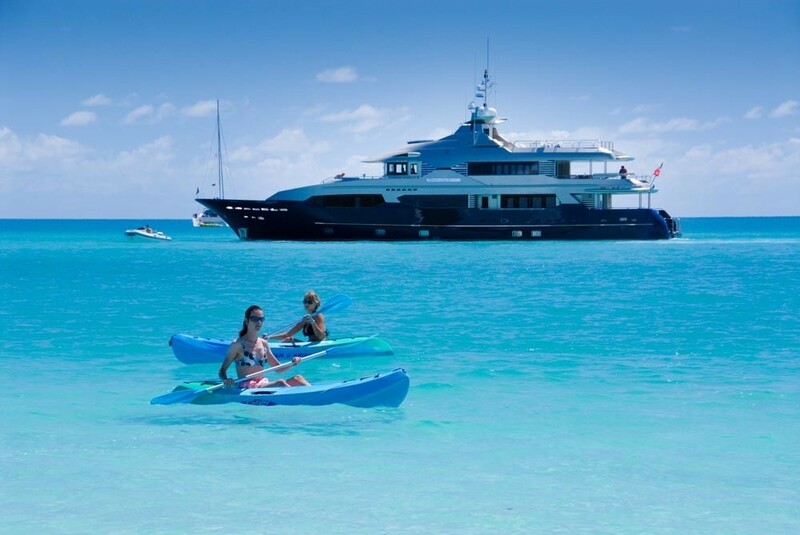 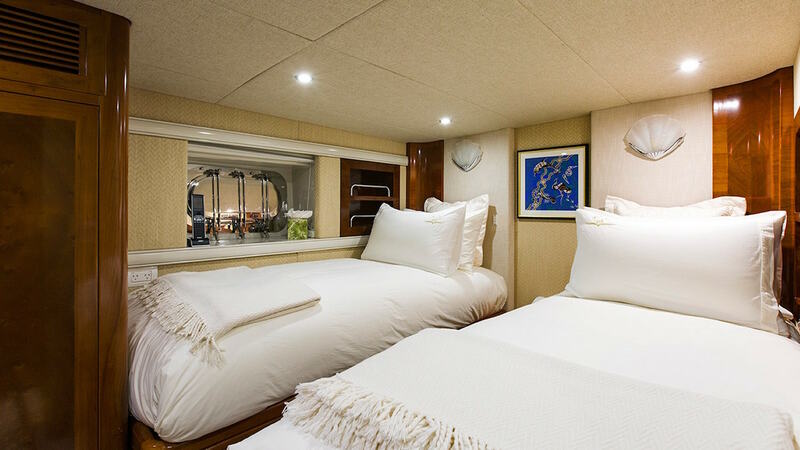 PRINCESS ILUKA can accommodate up to a total of 10 guests in 3 double, 1 twin and 1 bunk cabin. 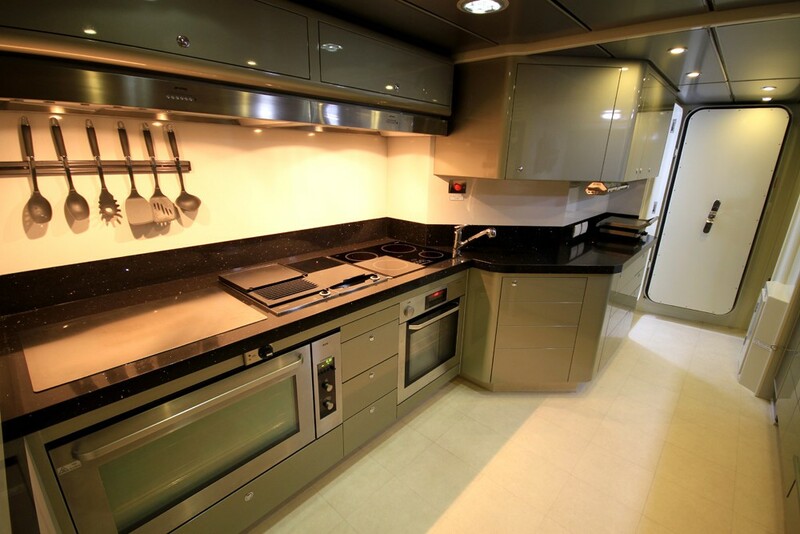 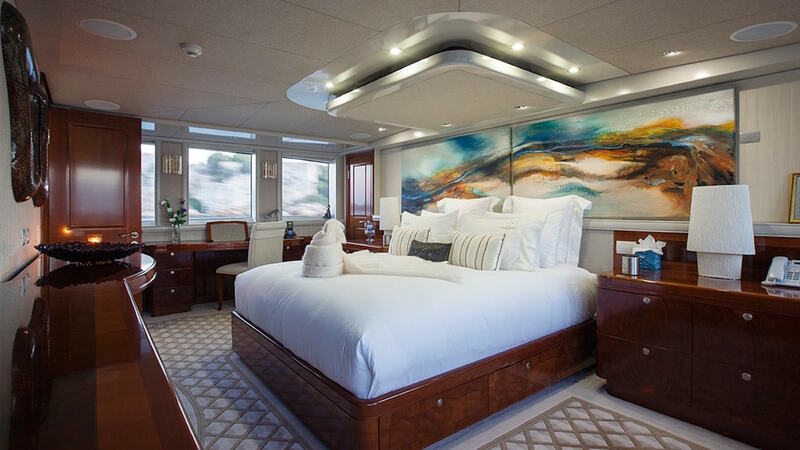 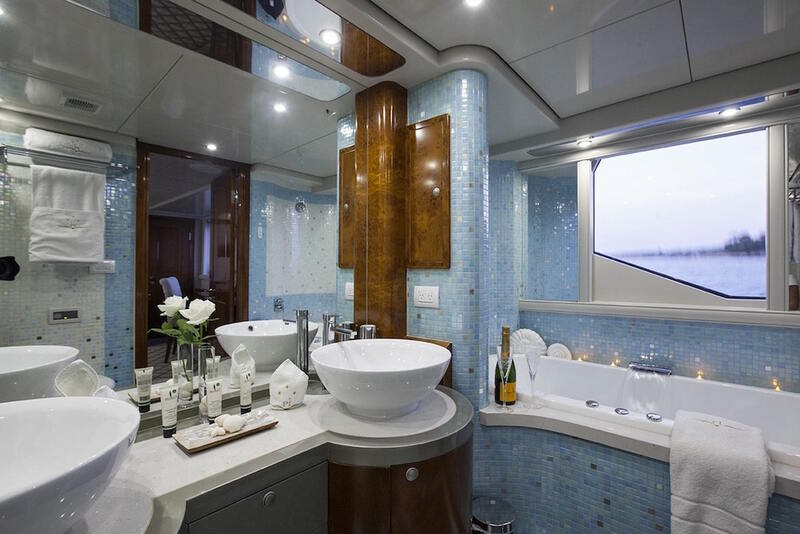 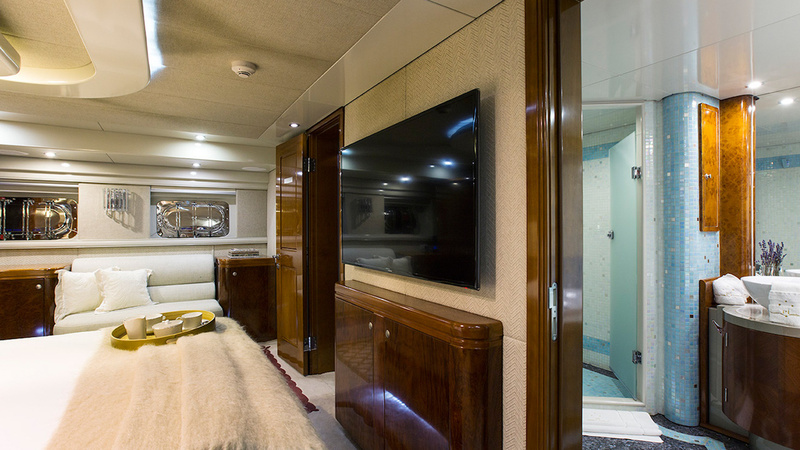 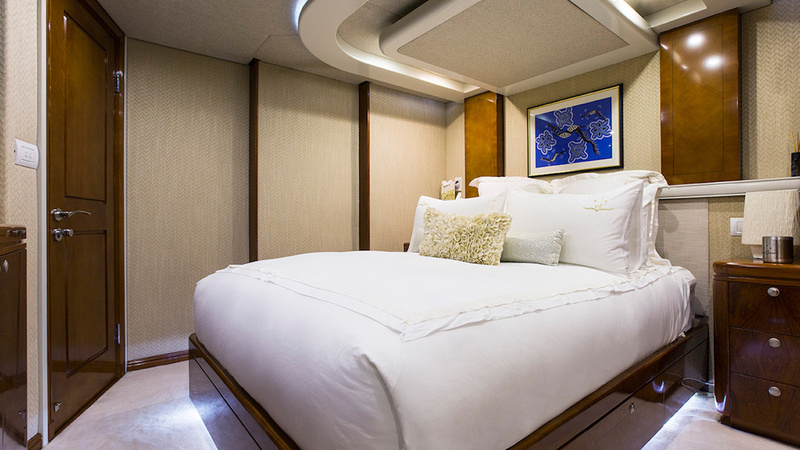 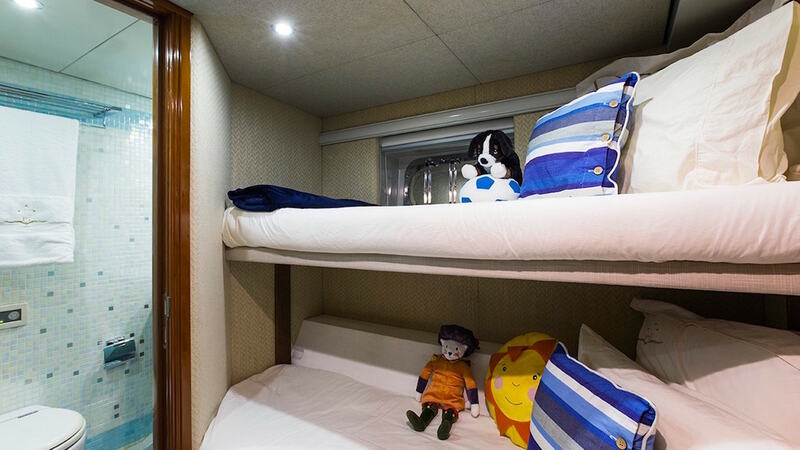 The full-width master cabin is located on the main deck and features a king size bed, sitting area, desk, wardrobe and bathroom with bath and stall shower. 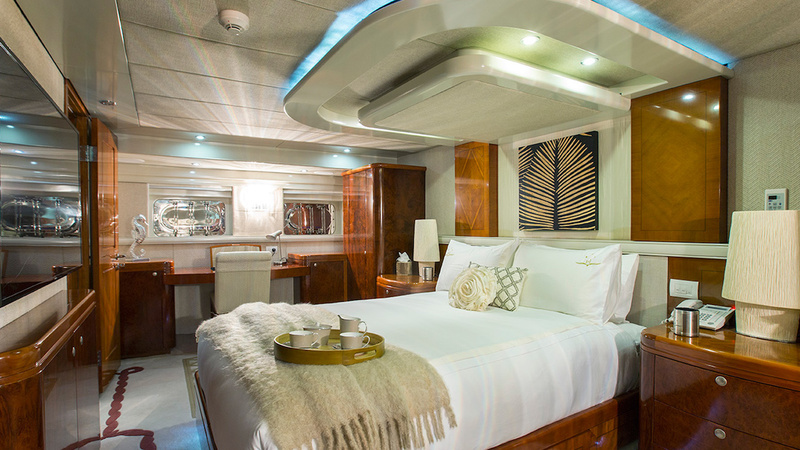 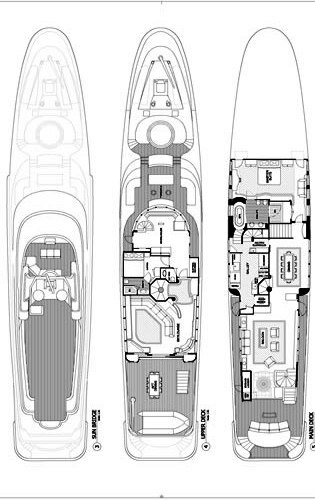 The remaining cabins are located on the lower deck and include a double cabin aft, a double, a twin and a bunk cabin midship forward, all with ensuite facilities. 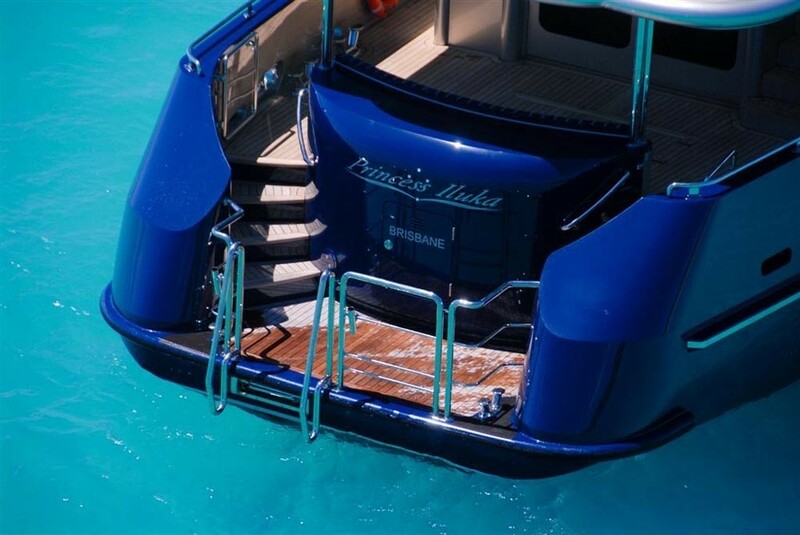 Extra feature: Naiad Zero Speed Stabilizers. 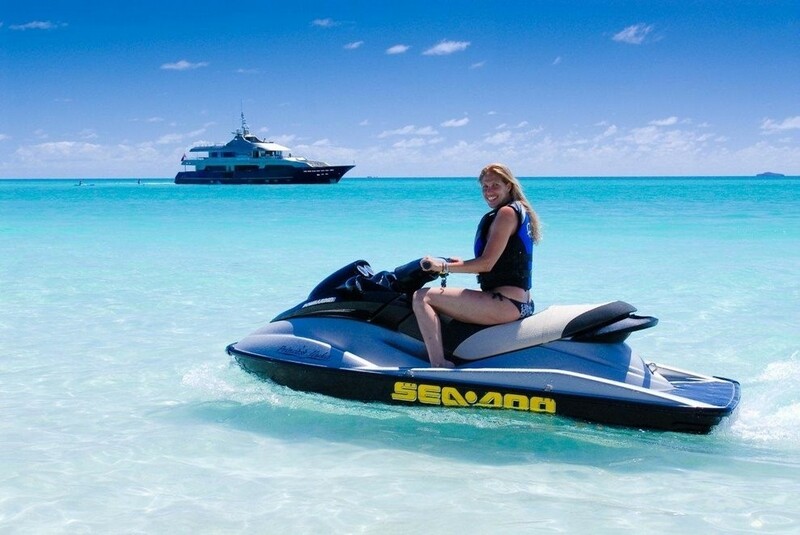 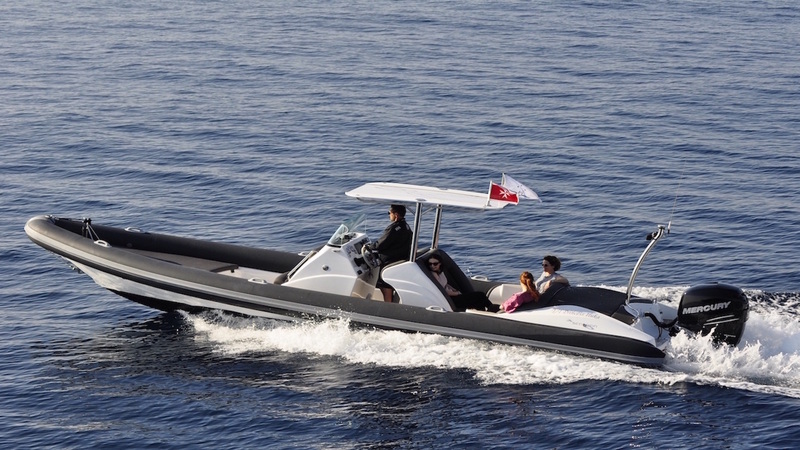 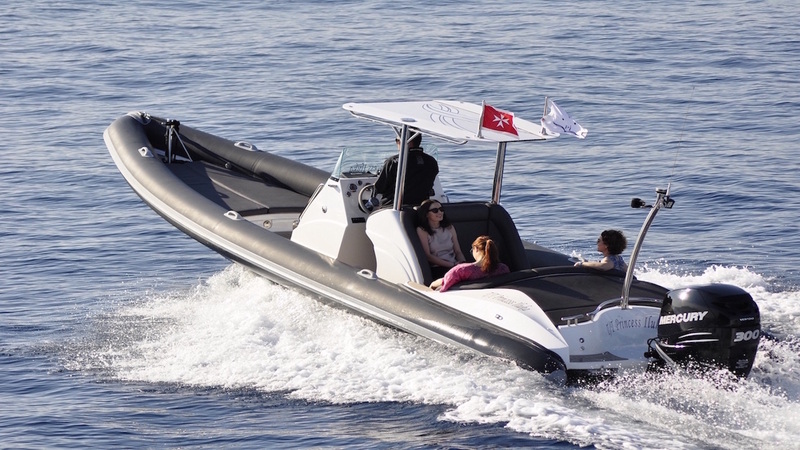 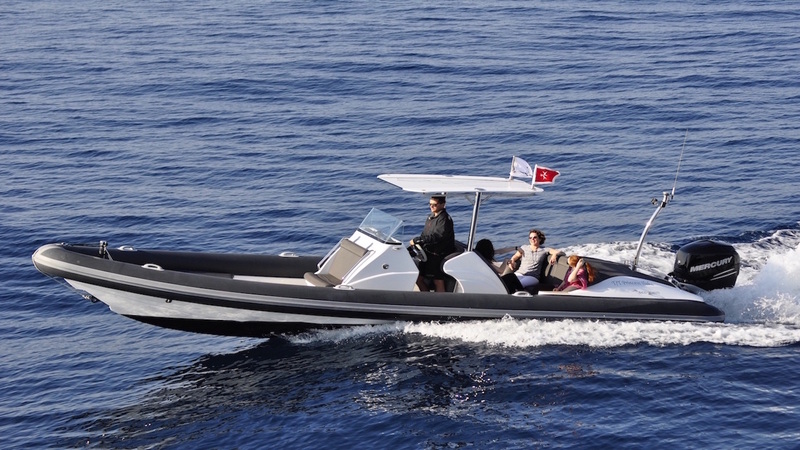 Her Tenders and water toys include a 4m RIB with 40HP outboard, scuba gear, compressor, fishing tackle, snorkelling equipment, 2 x jet skis, and 2 kayaks. 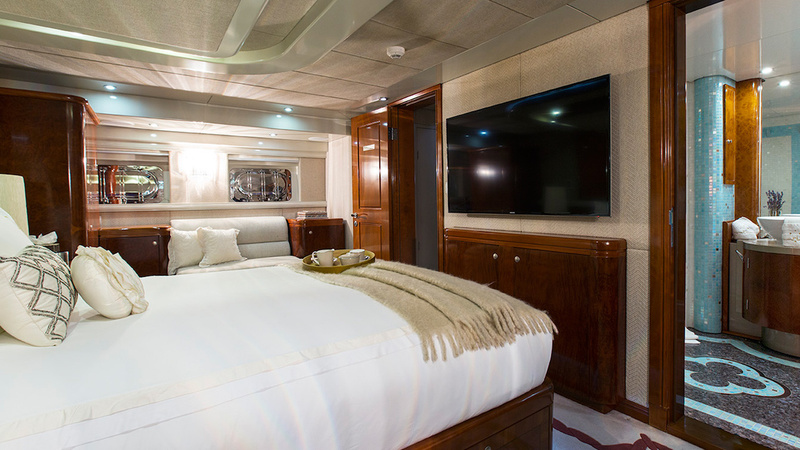 Communications include a Telephone and fax: satellite and cellular systems, Email connectivity: USB Data ports in all staterooms, saloon and lounge for laptop connections to the ships ph lines, Telephone system: Panasonic Pbax system. 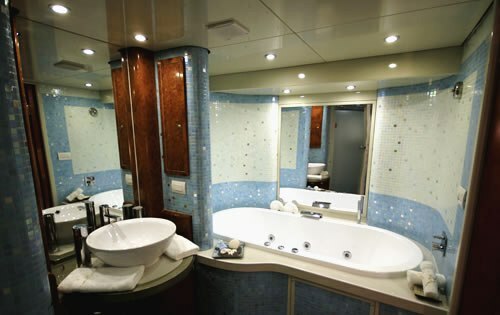 Phone outlets provided in each stateroom, galley and public areas. 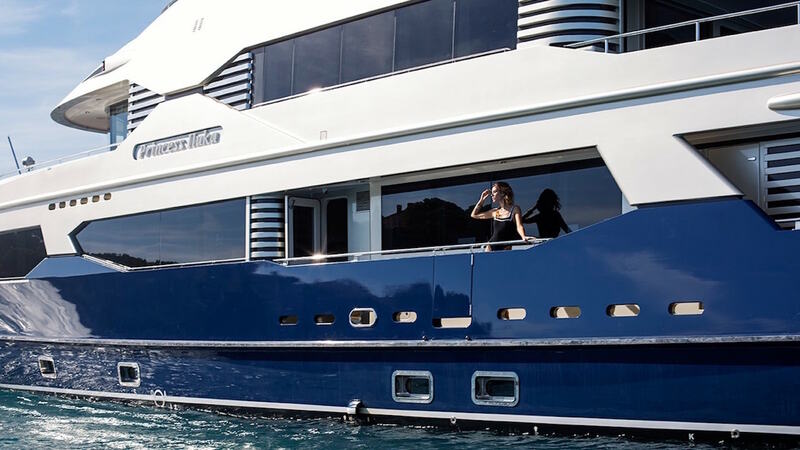 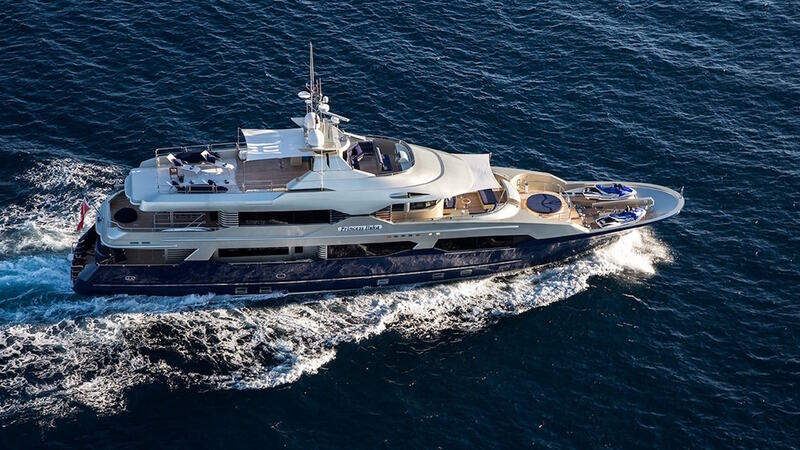 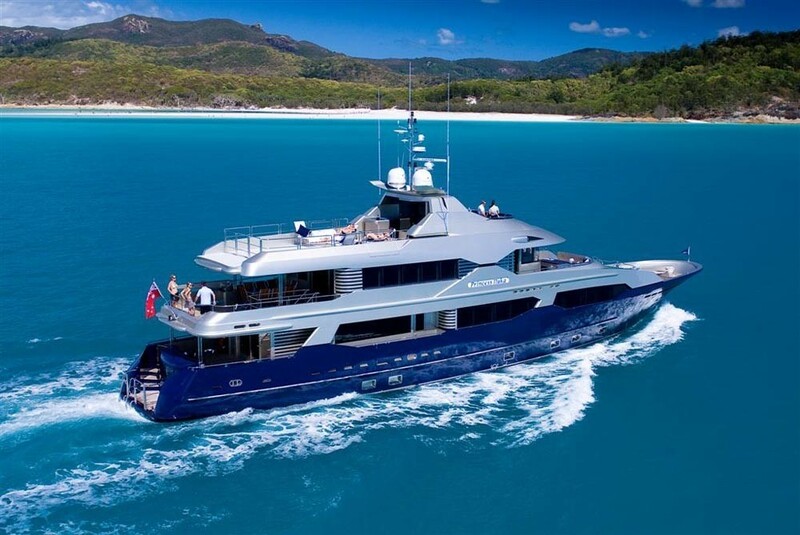 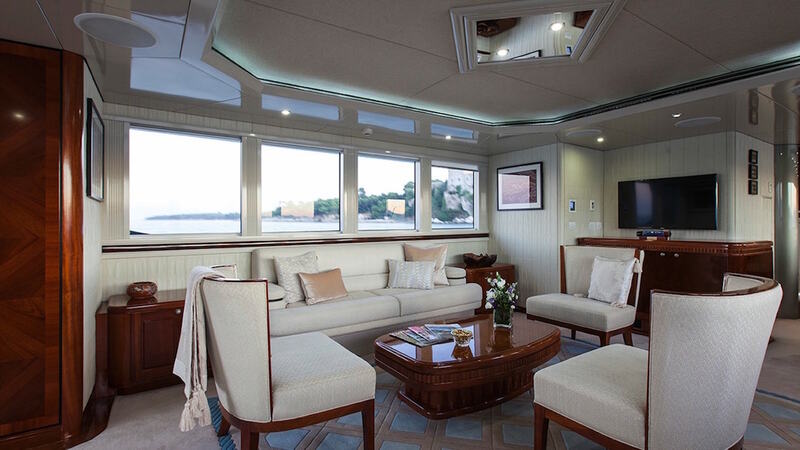 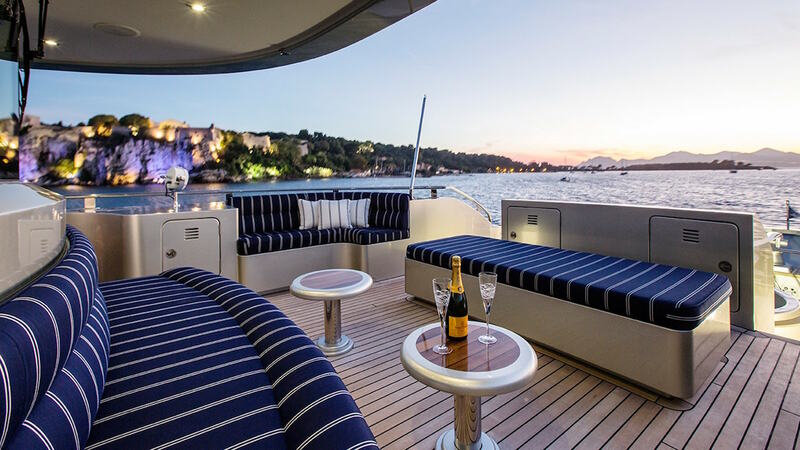 Her Audio Visual Equipment and Deck Facilities include a Plasma TV, Sat TV, DVD, and central entertainment unit in the Main saloon, Sky Lounge and Master Cabin and Board Games. 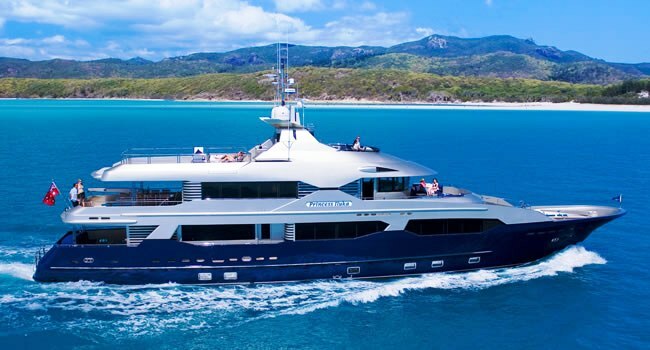 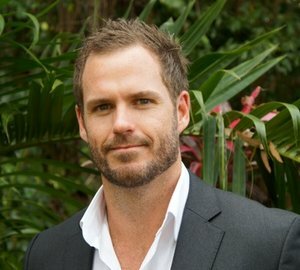 Entertainment includes an Escient music servicer, allowing for independent viewing of up to five separate dvd’s music selections, Foxtel and local TV.